A tribute to the great cowboy crooners, including Gene Autry, Roy Rogers, Dale Evans and the Sons of the Pioneers. "Queensland based, Native American Jen Mize & APRA Award winning and ARIA Award nominated Mark Sholtez deliver a beautifully rendered collection of iconic cowboy songs from the golden era of American popular music"
"They tip their hats to the great cowboy crooners and iconic songs from a golden era of music. Mark's jazz background melds into the saddle with ease and Jen's diverse music studies from her time at Berkley to an independent singer-songwriter are both at home on the trail with these classics." "On first listen, it's clear Mize and Sholtez are the real deal. Building on their existing bodies of creative work, and drawing from their rich and diverse musical backgrounds, they bring new life and new meaning this timeless material." "From the playful to-and-fro of “Lights of Old Santa Fe”, and “My Rifle, My Pony, and Me”, to the understated “Wand’rin’ Star”, and unapologetically heartbreaking “Black Hills of Dakota”, Mize and Sholtez’s vocal performances are charming, honest, and personal, highlighting both their commitment and connection to these songs. As a result, Twilight on the Trail feels equally nostalgic, and unexpected." Click below to hear select tracks from the new album. . . 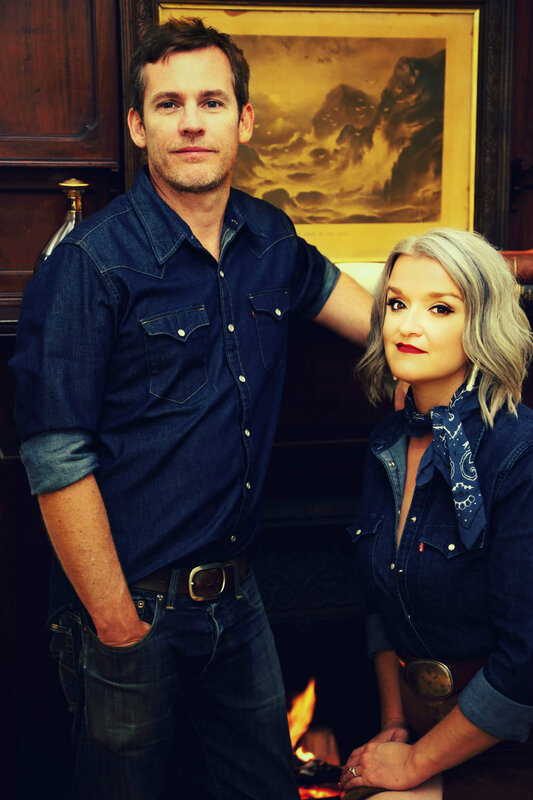 This collaborative work from Jen Mize and Mark Sholtez takes a fresh look at the music of the great cowboy crooners (Gene Autry, Roy Rogers, Dale Evans, Sons of the Pioneers), and like the landscape that inspired these songs, the album is rich in musical detail, yet remains wonderfully open and spacious. This year is looking to be the most productive yet for Queensland based, Native American, Jen Mize. Since the 2014 release of her stellar debut album Fear, Pride & a Few Stubborn Angels, and her widely acclaimed 2016 sophomore release, Warnings and Wisdom (lovingly produced by Shane Nicholson), Jen has been busy touring, recording, and earning the accolades that come with the hard work of being an Alt Country troubadour. “Jen Mize is more than a great singer-songwriter... she’s a true artist” (John Walker, Music City Roots). Mize possesses the rare ability to live in a wide range of musical worlds with absolute authenticity. Her music can be both commanding and subtle, and draws on a diverse range of influences from Sarah Vaughan and James Taylor, to Bonnie Raitt and John Prine. The celebrated songwriter and recording artist is also the co-host of exciting new national radio program Three Chords and the Truth, and is now being recognized as one of the foremost authorities on Americana and Alt-Country music, in Australia. Sholtez first came to the public’s attention with his chart topping, Tommy LiPuma (Frank Sinatra, Nat King Cole, Miles Davis) produced debut Real Street (Verve/Universal). The APRA Awarding winning, ARIA Award nominated album may have seen him topping jazz charts, but Sholtez has always been first and foremost a singer-songwriter. Sholtez’ also maintains a strong commitment to collaboration, with work that has included Troy Cassar- Daley, Wendy Mathews, The Veronicas, Harmony James, Rick Price, Shane Nicholson, Bill Chambers, and Don Walker.